The Steam discussion board is an ugly mess right now. The forums dedicated to Assassin’s Creed‘s yet-to-be-released tenth instalment, Origins, have been flooded by a barrage of toxin-infused hate speech. To give you a feel for the scale of the influx, there has been an upward of 100 pages of threads with bigoted spam and trolling. All of these have been posted in the last 24 hours. The trolling consists mostly of empty-headed slurs, elaborate mockery of political correctness and the basic tenets of human decency, as well as ironic criticism aimed at the game’s lack of gender diversity. It remains unclear exactly where the acidic deluge is coming from, but as always, the usual suspects are 4chan and the darker corners of Reddit. Taking into account it leans quite heavily on non-fictive events and characters for its storyline, Assassin’s Creed has long been in the middle of disputes about racism and historical authenticity in the video game industry. Inspired by historical events and characters, this work of fiction was designed, developed, and produced by a multicultural team of various beliefs, sexual orientations and gender identities. The upcoming Origins episode will explore Ancient Egypt, recounting the Ptolemaic period with a twist of fiction. 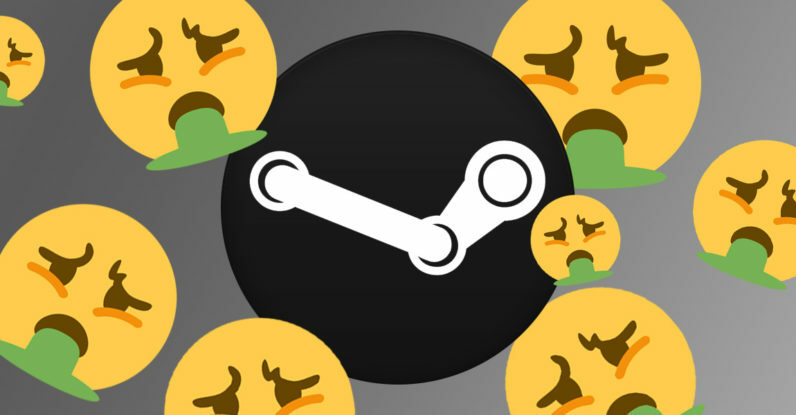 As a result of the hate-trolling invasion, the Steam moderators are heavily censoring the forums, but it seems they’re having a hard time keeping up with the pranksters. In any case, this is a sad exhibition of childishness that will likely draw in even more calls for censorship on the platform – much like what has been going on with Twitter. But the saddest thing is that no real winner will come out of this silly fight.